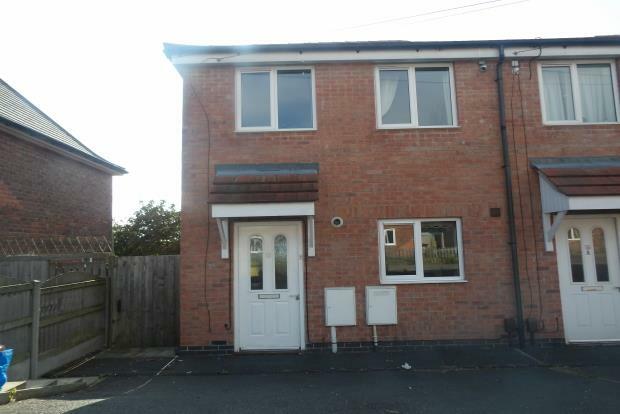 3 Bedroom House To Rent in Chesterfield for £650 per Calendar Month. AVAILABLE END OF MAY Frank Innes proudly present this stunningly refurbished 3 bedroomed, newly built town house. The property boasts, beautiful decoration at a high standard throughout. The property is located within walking distance to local amenities, bus routes and also junction 29A of the M1. This property is ideal for the modern family way of living. - To the front of the property you have off road driveway parking for two cars. - Leading down the side of the house is a pathway to the rear garden. - The lawned garden is a great size and benefits from having a garden shed for storage and small patio area. - The front entrance leads into an entrance hallway, with stairs leading to the first floor. - The dining area has a fantastic, raised dining table with 4 chairs. It also offers more cupboard space at the end. - The downstairs W/C is found off the dining area. - To the first floor you are met with a good sized landing space leading off to all bedrooms and family bathroom. - The Master En-Suite comprises of walk in Shower, toilet and sink. - The main Family bathroom comprises of a white 3 piece suite, bath with shower overhead, toilet and sink. There is also a heated towel rail. Please call Frank Innes to arrange a viewing, or with any questions you may have.